The latest ANZ/Property Council Survey reports confidence across Australia’s property industry has surged to its highest level in six years, says the AFR. The national confidence index for the June quarter has climbed four points to 143 – the highest on record. A score of 100 is considered neutral. The broader industry has been buoyed by a booming retirement living industry and a growing industrial sector taking advantage of a shift to online shopping. Separate research from NAB confirmed the lacklustre sentiment towards retail property is being offset by a rise in overall confidence. “Given the economic significance of the Australian property industry, the results from this survey are cause for optimism,” said Ken Morrison, Chief Executive of the Property Council of Australia. After negative sentiment around the Federal Government’s performance for the past six quarters, there has been a lift for the June 2018 quarter from across all the states and territories surveyed with a matching rise in confidence in the national economic outlook. “We’re seeing confidence across the industry at elevated levels in all states and territories, with South Australia, Queensland and the ACT the stand-outs in terms of improvement this quarter,” Mr Morrison said. “Expectations around economic growth in South Australia and Queensland have especially strengthened this quarter,” he added. Australia-wide, there are positive expectations around capital growth for retirement, office, industrial and hotel property, although a drop for retail which is reflected across all the markets surveyed. 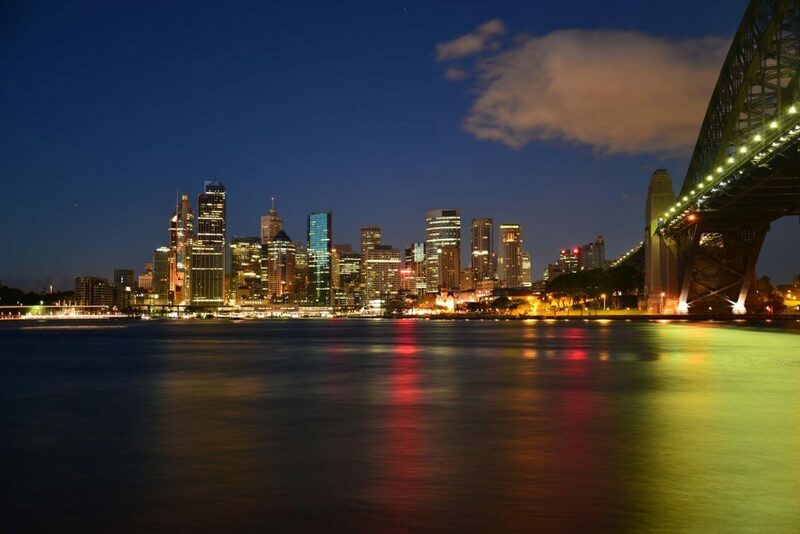 Housing prices are expected to increase in all capitals except Sydney. ANZ Senior Economist Daniel Gradwell said the June quarter survey result shows that the optimism in the property sector has continued into 2018. “The convergence across the country continues,” he said. Mr Gradwell said the outlook for the housing sector is improving. ‘But it’s not all smooth sailing,” he said. “The retail sector has been under pressure for some time, and respondents are increasingly pessimistic about the outlook for the next 12 months. “Expectations of price growth and construction activity are falling, and any improvement feels some time away,’ Mr Gradwell said. 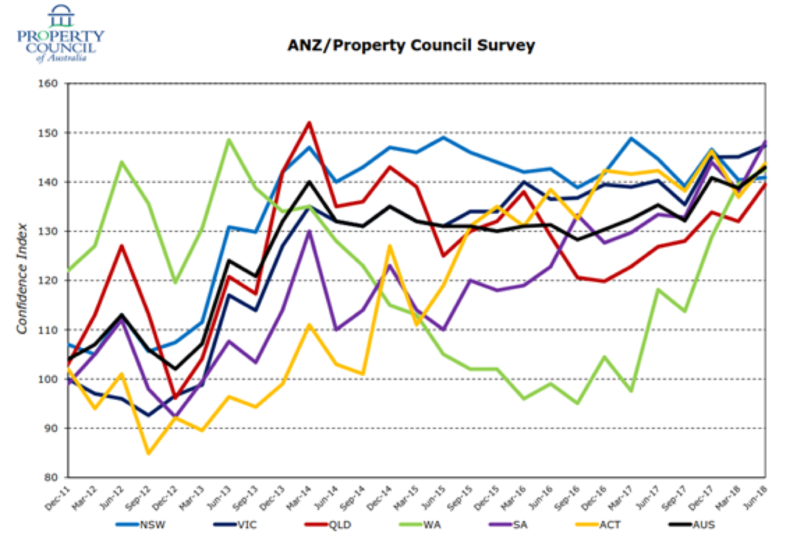 The ANZ/Property Council Survey is the largest of its type and measures the views of more than 1,000 property industry professionals across the country. It provides valuable insight into sentiment in the property industry which employs 1.4 million Australians and supports the wages of more than one in four Australians.